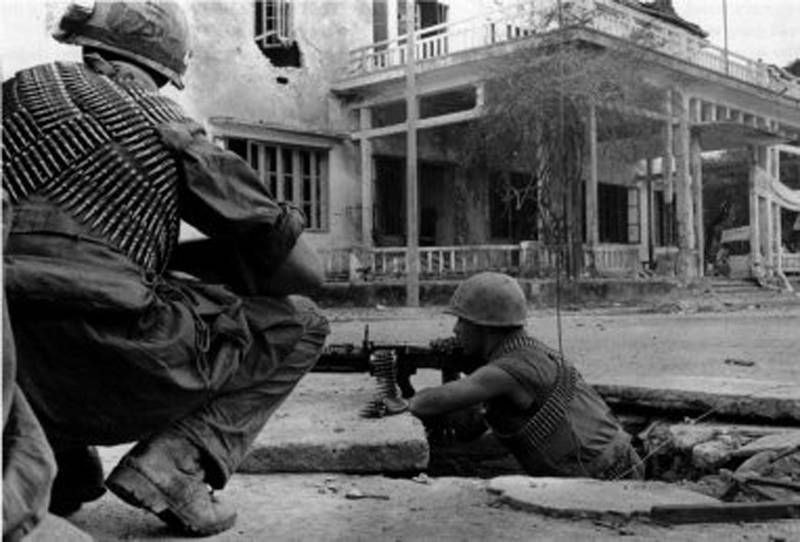 Officially recorded in the United States as having begun in November 1955, the Vietnam War would span nearly 20 years and marked one of the United States’ most active efforts to thwart Communist expansion during the Cold War. 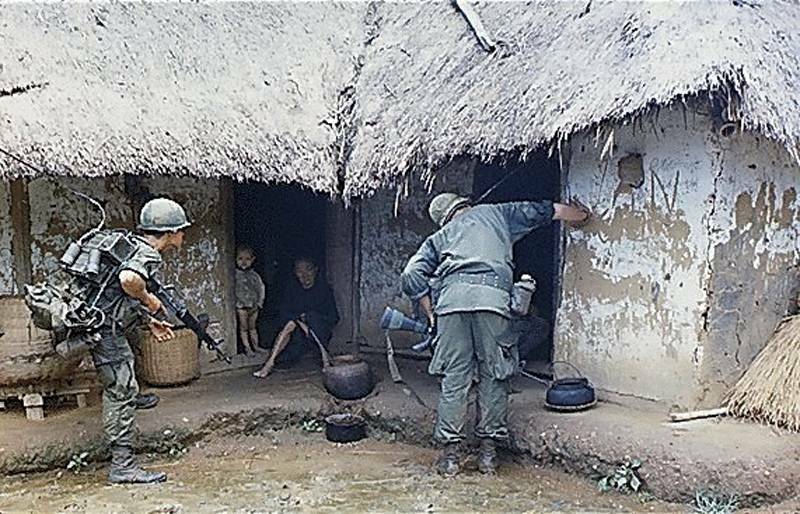 While memorable for many reasons, one of the most distinctive and salient characteristics of the Vietnam War is the way it was fought. 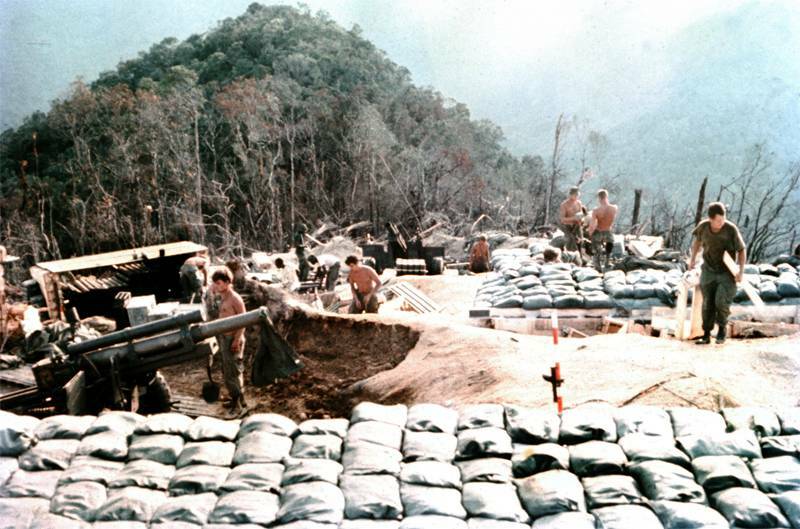 While guerrilla warfare was conducted on a similar scale during the pacific theater of World War 2, the Vietnam War brought it to a new level due via its rugged terrain and the Vietcong’s willingness to use civilian centers as ambush sites. 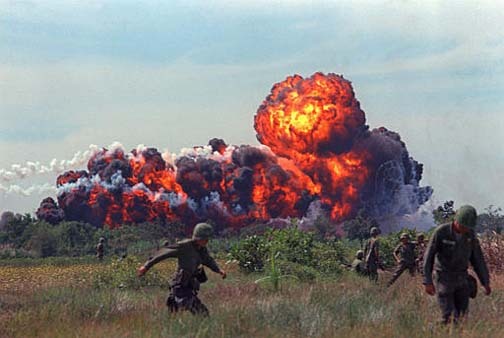 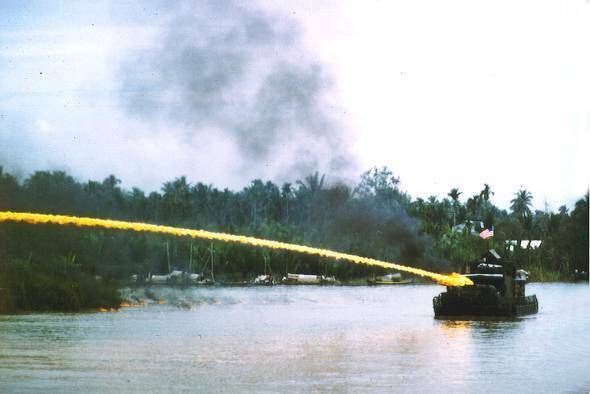 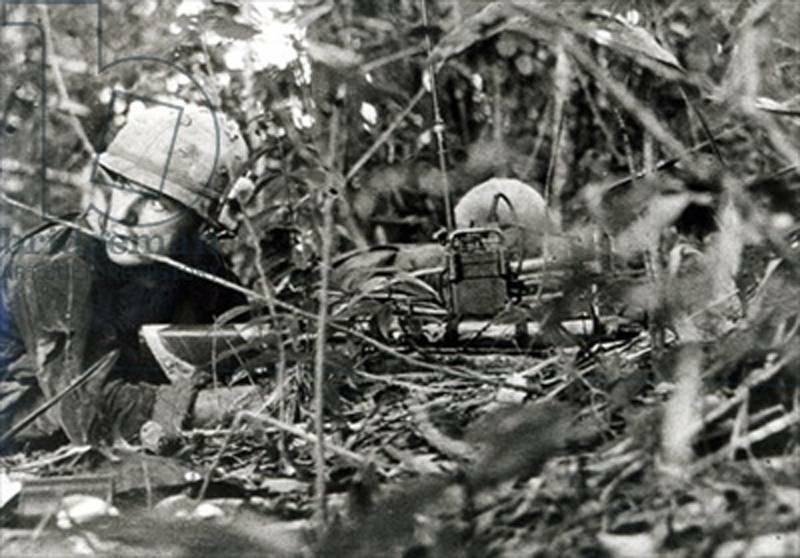 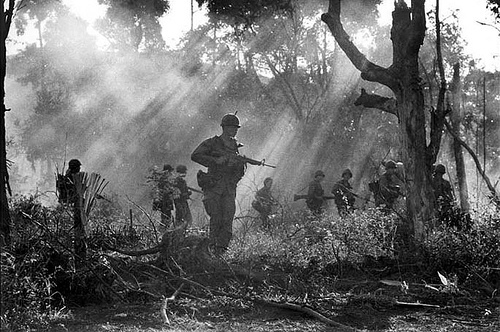 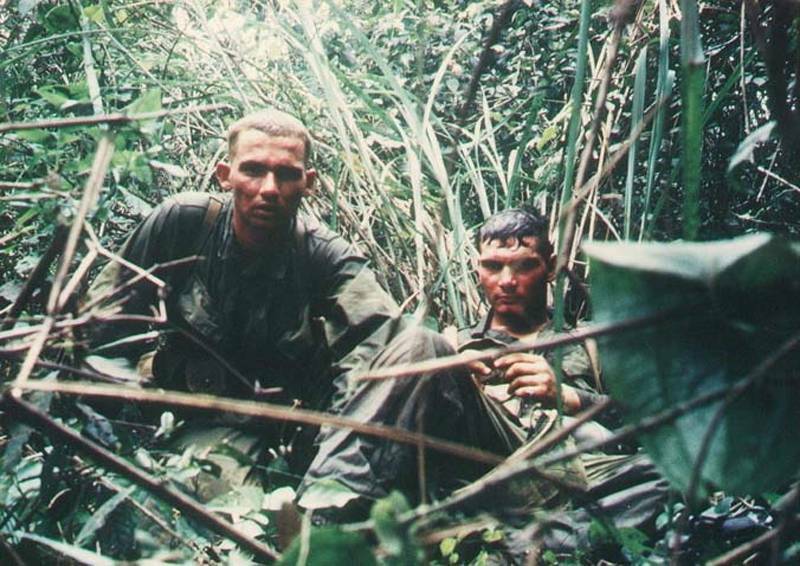 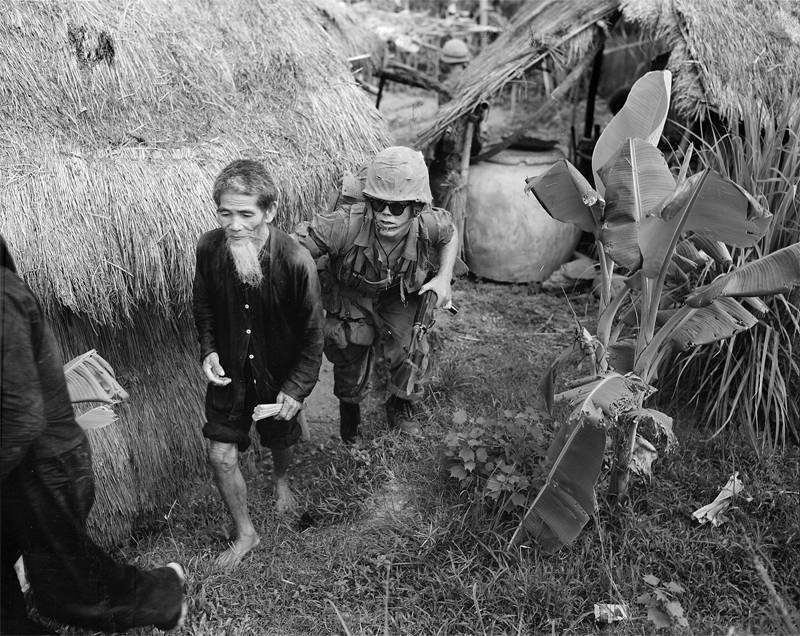 The conflict also saw the tragic and widespread use of napalm and other chemical defoliants that were used in an effort to clear wide tracts of jungle in hopes of removing enemy hiding places. 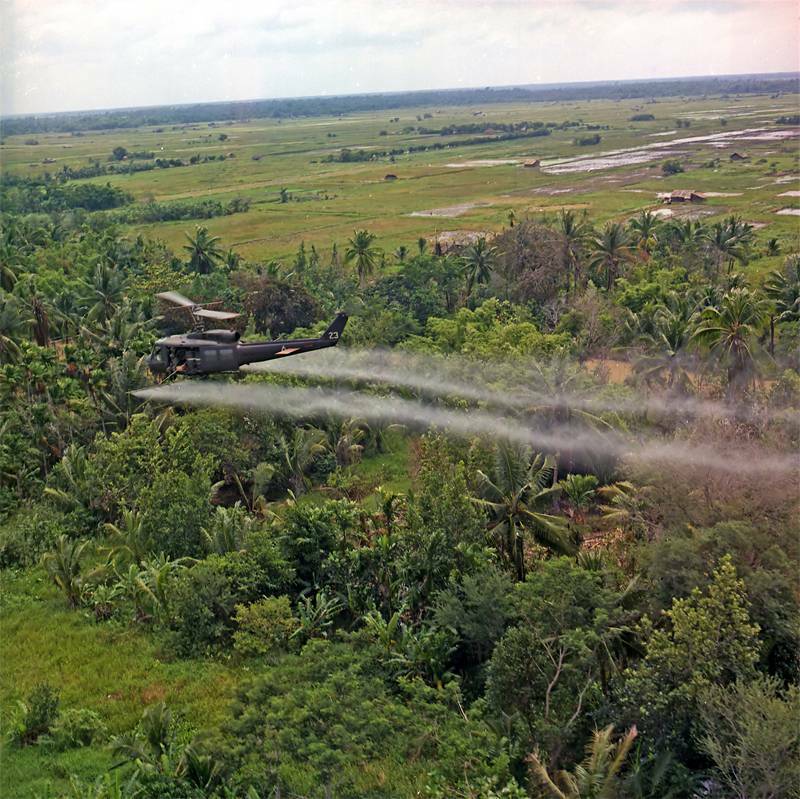 Most of the weapons used, including the especially deadly Agent Orange, would go on to be banned by international sanctions. 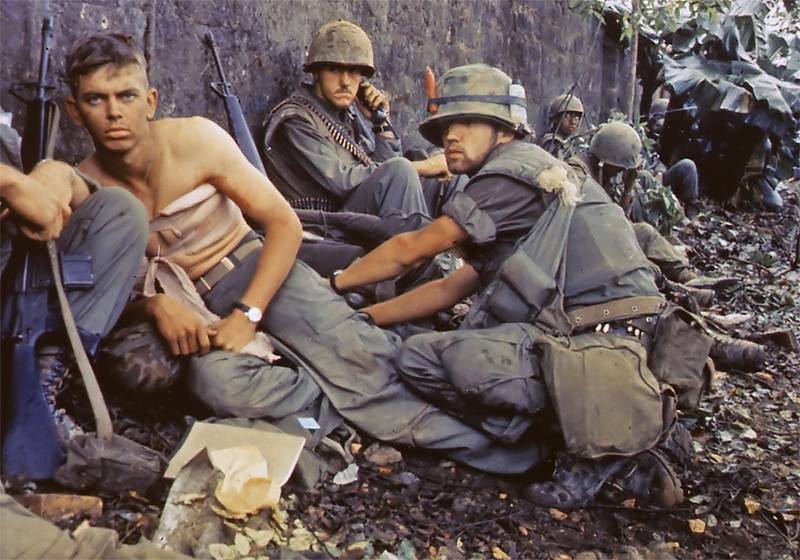 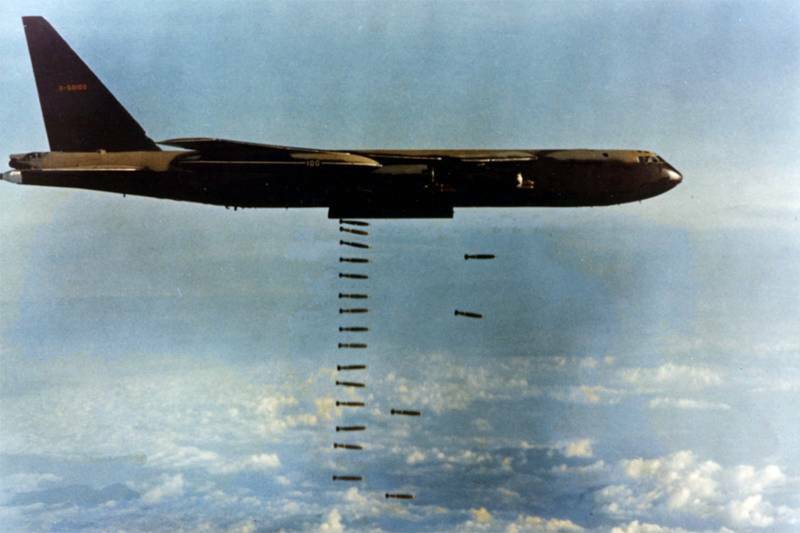 After decades of exhausting and all-encompassing horror, the war ended in 1975 when North Vietnamese forces captured Saigon and forced American armed forces to retreat. 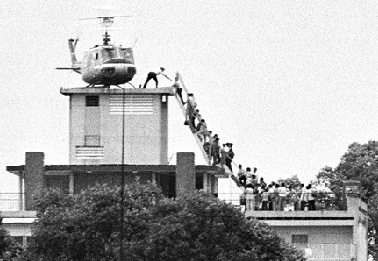 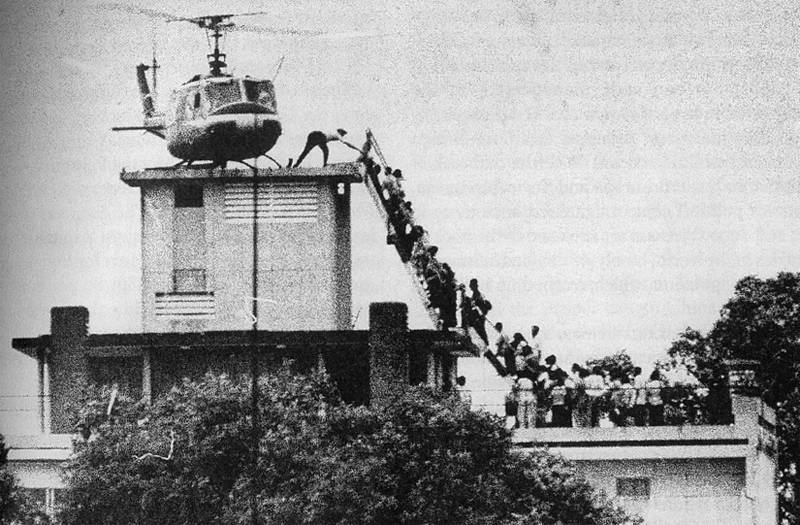 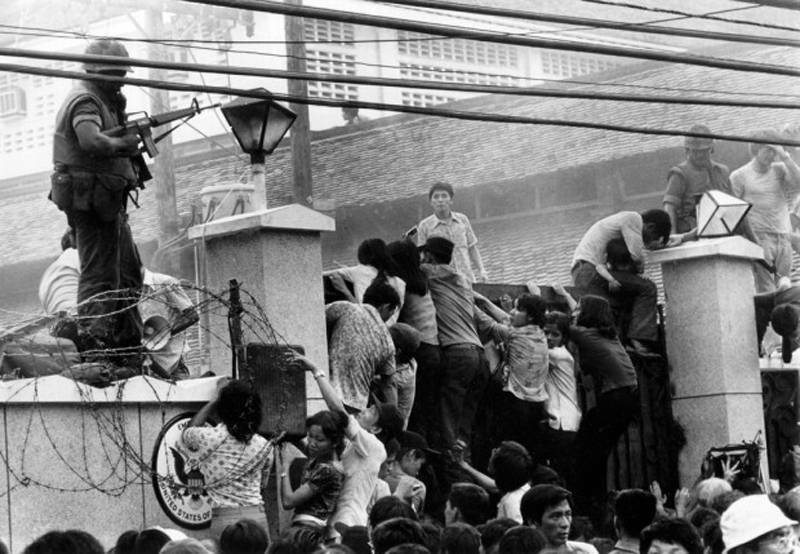 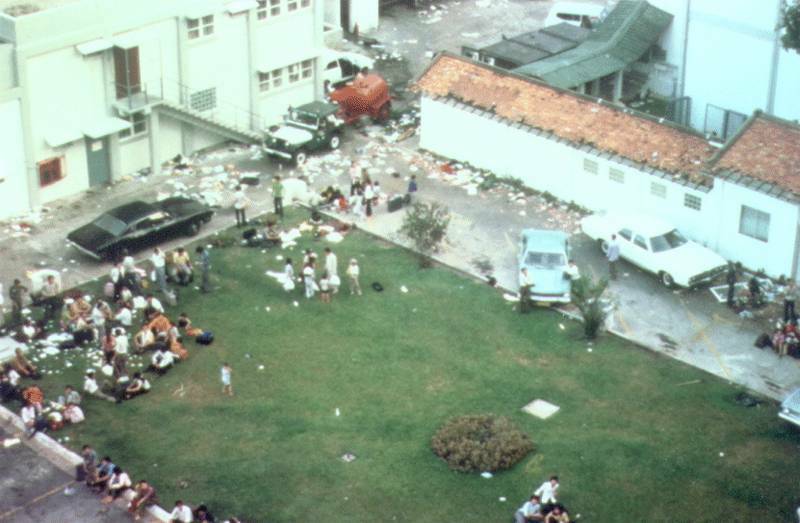 This infamous moment in American history is often represented by photographs and video of the hectic evacuation of the American embassy in Saigon. 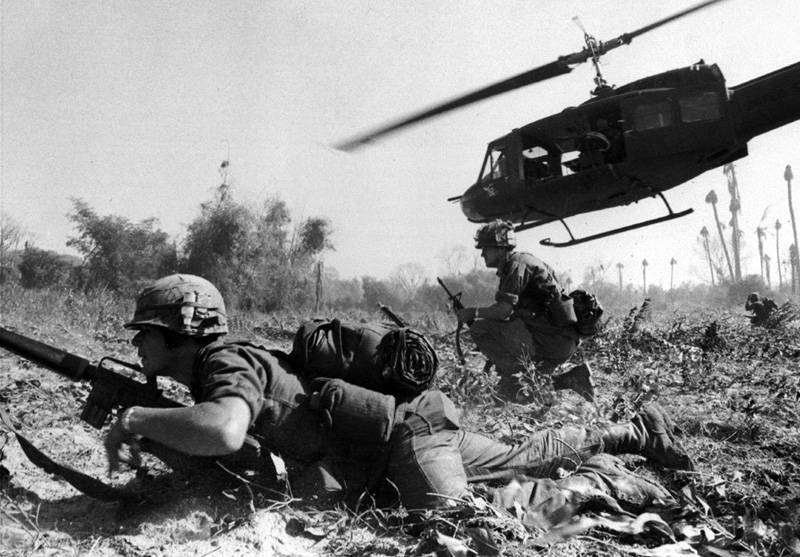 Next, read about the experience of black soldiers in Vietnam.